A reflective essay analyzes personal growth and development. 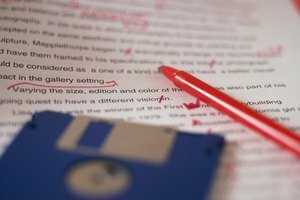 Unlike a formal essay, a reflective essay does not have to center on a thesis. Instead of proposing an argument, a reflective essay narrates and explains changes in your life as you overcome obstacles, live through difficult experiences, make new discoveries and grow as a person. By the end of the essay, the reader should possess a clearer understanding of where you are today as a person and how you got there. An effective introduction reveals the reason for writing the essay. It should also give some hint of what's to come, to pique the interest of your reader. You might mention whether you met or did not meet goals you planned to, or whether your personal journey has been a difficult one or not. Your essay could also focus on one particular time of growth or one specific example self-revelation. Simply recording the events of your life and their outcome in chronological order is boring. Instead, illustrate specific significant experiences with imagery and attention to detail. Transport your reader to that exact life-changing moment by recapturing the sights, sounds, smells, feelings and thoughts you experienced. Let your reader experience what you did by making your memories come alive. Come up with your own, unique structure for your essay that fits with your topic. If discussing a traumatic event in your life, use flashbacks for dramatic effect. Or skip around to different parts of your life. Consider using a motif, a recurring theme or object, throughout the essay to emphasize a point, like the color blue whenever you remember your near-drowning accident or the sound of sirens when you reminisce about growing up in the city. By the time he reaches the last paragraph, your reader should feel like your essay has arrived somewhere because you as a person have changed or learned something. Be sure to pinpoint to a pivotal moment or time that so strongly affected you that you are not now the same as you were. Leave your reader with something to think about as well. Convince them that your experience is universal enough that it has value for the reader, too. Smith, Nadine. "Reflective Essay Instructions." Synonym, https://classroom.synonym.com/reflective-essay-instructions-26588.html. 26 September 2017.